In walking navigation system using visual or voice guidance, it is necessary for the user to interpret the meaning of information presented and then judge the walking direction by himself. Browsing information during walking is dangerous because it distracts the attentiveness of the user to the surrounding environment. For this reason, it is desirable that interpretation of information for navigation by the user is unnecessary. 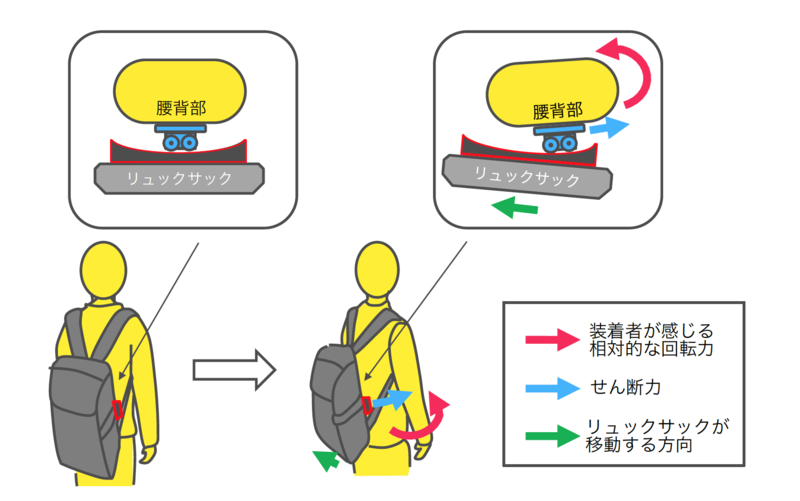 In this research, we propose a method to control the walking direction of the user unconsciously by presenting the shearing force to the waist back part of the user and causing the waist rotation motion. 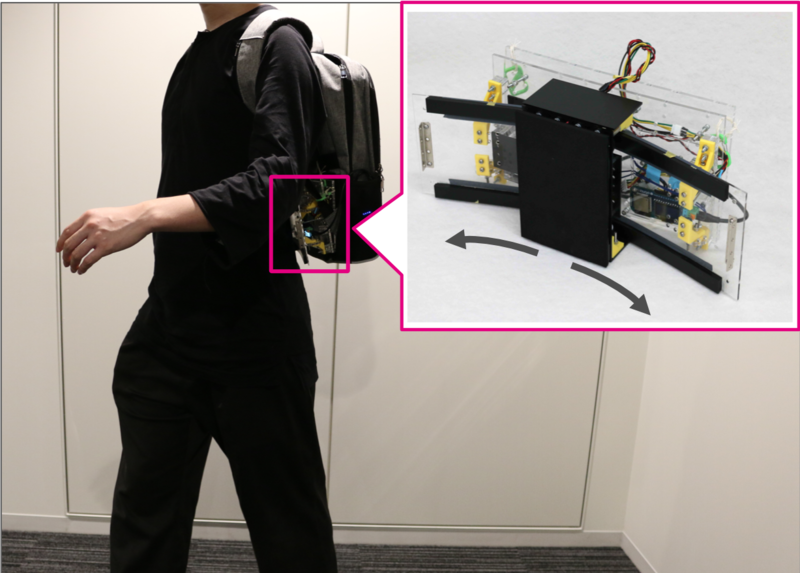 As a result of experiments to navigate walking on the left and right direction using the hardware we developed, the amount of change in the walking direction was 11.3 degree/m on average.